I am adding this post-script to my article on “The Marcoses and the Missing Filipino Millions” because a couple of the comments I have received question whether the Philippines has a nuclear power plant or not. I was there when Imelda’s cousin-in-law Herminio Disini was awarded a huge commission from Westinghouse to build a nuclear power plant on a piece of land in Bataan. The main problem was that the land selected for the power plant was sitting beneath a volcano and above two fault lines. .So, right from the start the project was doomed to failure. However, Westinghouse and the Marcoses chose to overlook this problem and building began. It was finally finished in 1985 and has remained a white elephant since then, costing the Philippines government and, thus, its people over 2 billion dollars. Money that has been completely wasted. For more details about this, please click on the link to Fortune Magazine below. What happens to the Bataan Nuclear Power Plant today? Has there anything of the problem gotten resolved? Is the Philippines government still shouldering the maintenance expenses? How are they managing it financially? Hello Caroline. I would like to correct your statement that the BNPP is sitting on top of two active fault lines. I was with the Phivolcs Director, Dr. Renato Solidum, about three years ago at the Bataan site. After conducting a study and survey of the BNPP environment, he categorically said that the BNPP was NOT on top of any fault line whatsoever. In fact he had written a formal report to this end. The volcano in question, Mt. Natib, is approximately 10 kilometers away. This dormant volcano has not erupted in the last 14,000 years. The western side of the Philippines is significantly less exposed to earthquakes, tsunamis, and tropical cyclones compared to the eastern side of the country. 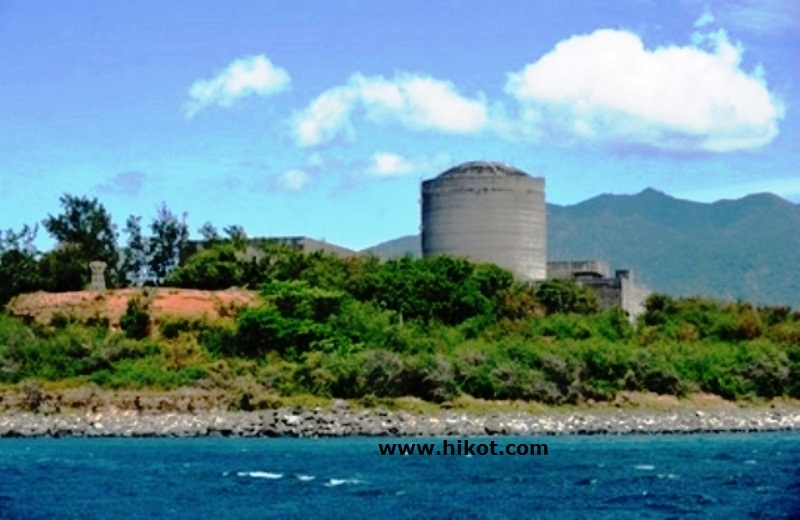 The site of the BNPP in Morong, Bataan was deemed most ideal by those who are knowledgable with power plants. Thank you for this comment, Mike. I am only commenting on the facts that were published at the time (and I was there) and which were confirmed by the article in Fortune Magazine. It this is not the case then many people got their facts wrong and there was no reason not to forge ahead with plant once it was completed. The fact that it remains unused, having cost the Philippines such a massive amount of money, is extremely odd since it would obviously benefit the country by reducing the cost of power to a large segment of the population. That would need some explanation from Dr Solidum. Its interesting to note that Herminio Disini has bought a nobleman’s title in Austria, presumably with his loot from the project while the Filipino people were left to deal with the debt fallout for decades afterwards. The delusions of self-styled royalty seem to be a common theme during those times. Courts are still trying to go after Disini’s $50 million loot in various bank accounts all over the World. Another great legacy from those years that is still giving headaches to people. Yes, you’re right about Disini trying to buy a title! Delusions of grandeur run through the whole family, even the in-laws are not immune.